I'm worrying about my friend right now. I'm not worried that she will get bad news, because I've been praying about that. I'm worried because I know she's scared and nervous. I wish I could be there with her to give my support. Since I can't be there in person, I'm supporting her via the internet. Hey, that's how we met and became friends, so it's appropriate that I send her my support the same way. So, if you want to give your support too - run over to Skittles' blog and let her know how much she's loved or leave a comment here saying how wonderful she is, and I'll make sure she sees how important she is to all of us. My great-aunt-in-law had a bunch of medical tests run to see if her heart could handle a surgery she desperately needs. Without this surgery, she would never walk again and would be in constant, severe pain. We were notified last night that the tests were complete, and she has been approved for surgery. Her surgery is tomorrow. I think I need to go read the yellow pages or research home owner insurance - anything to keep my mind from worrying. Yes, I'm a worrier. I always have been. However, worrying about people I care about tends to be very dangerous for me. You see, there's a standing joke among my family and friends. They say that if Misty is worried about someone, she shouldn't even get out of bed. You see, I have a tendency to get injured when I'm worrying about someone. No, it's not because my mind is occupied - I don't know how to explain it. I get injured doing normal things which are routine parts of my day. Maybe I get injured in order to take my mind off of worrying? I think I'd rather go read that phone book. Misty...how sweet of you to be so concerned...I was thinking of Skittles this morning as well...actually I was thinking of her yesterday knowing what she was having to do for the prep....I see MIke has been here and things went well...that is good....now let's hope for the best for you Aunt....do something nice for yourself...hope you have a great day!!! Good luck to your aunt. btw, maybe reading isn't so safe either-you could get a papercut! You're such a good person Misty! Kudos for you showing sharing some love for Skittles. Glad she's ok...praying for your aunt-in-law!! I'm a worrier too. Look at the word bank again-one answer should be 2 words easy to miss!!! Sending warm fuzzy thought to your aunt. YOU'RE THE BESTEST FRIEND A PERSON COULD EVER HOPE FOR!!!!!!!!!!!!!!!!!!! 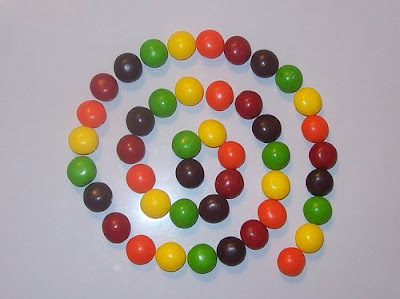 I'm glad to see that Skittles test went fine. Hugs and prayer for your aunt. I'm a worrier too. As for injuries ... well, I'm accident-prone, it seems, so they happen whether I'm fretting or calm. Glad to hear the test went well. Thinking of your great aunt-in-law. Misty, My Darling Friend ... Your heart encourages and warms my spirit. I'm late to the party, but I saw the update that Skittles is doing great. You are such a great friend to people, you really are. Please keep us updated on your great aunt-in-law. I hope it all goes well!